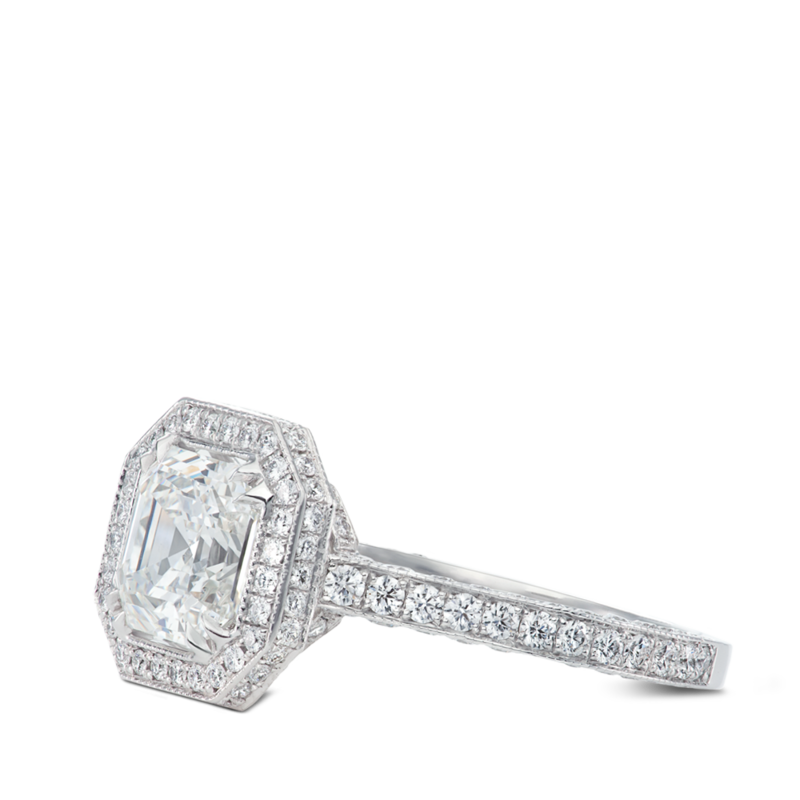 Asscher cut diamond set in our signature claw prongs. 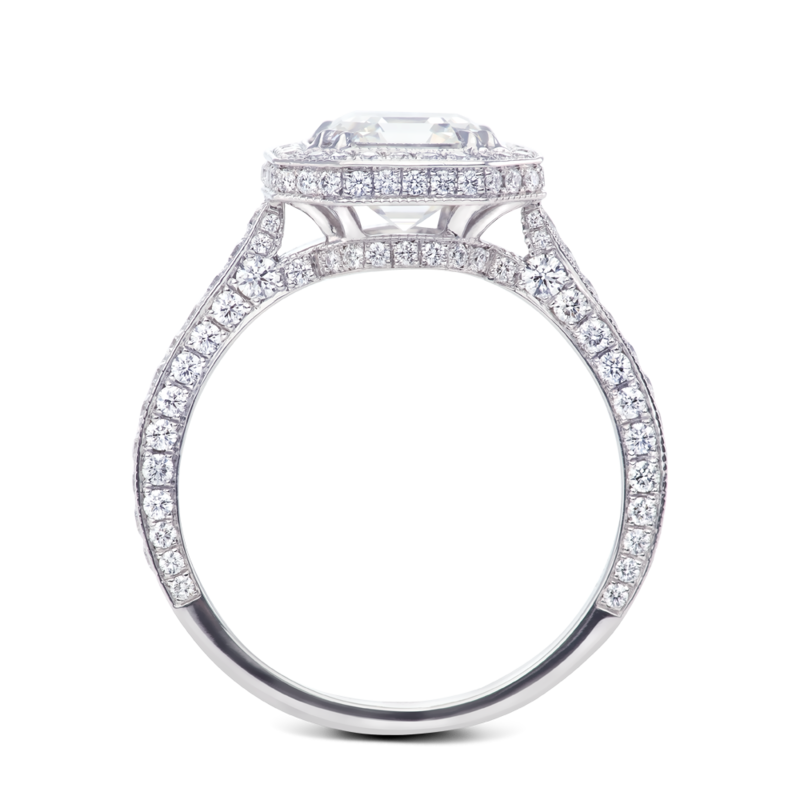 This design features bright cut pave and hand applied milgrain through out for a vintage touch. Diamond is surrounded by a meticulous double edge pave halo. Shank set on three sides continues the luxurious feel. 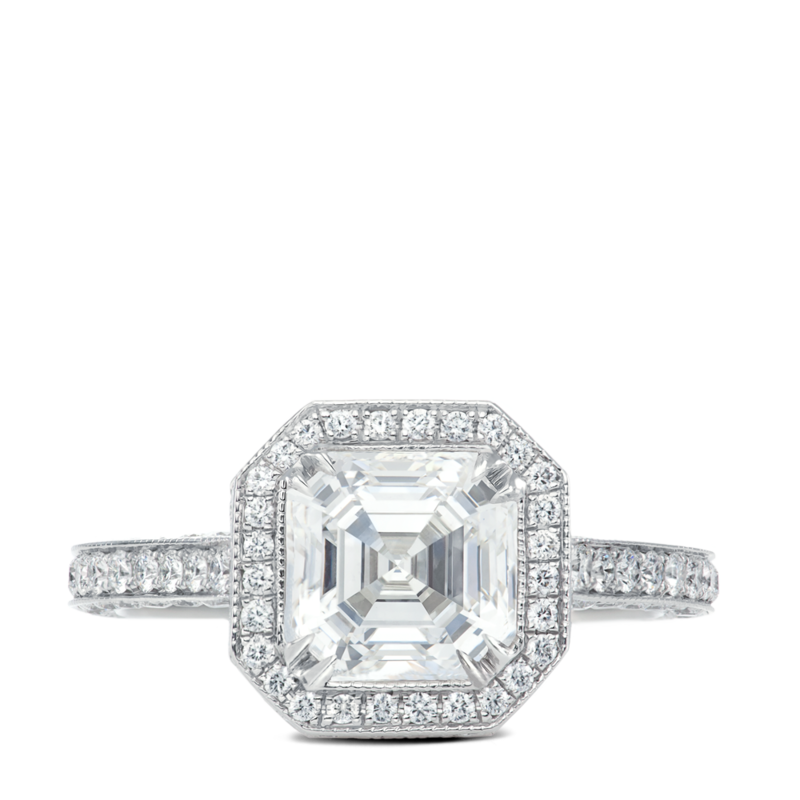 Designed for a 2ct asscher center stone. Can be made for any size center stone.